The Jucara Palm (Euterpe edulis) is a very close relative of the Acai Palm which everybody knows about thanks to these Acai bowls. 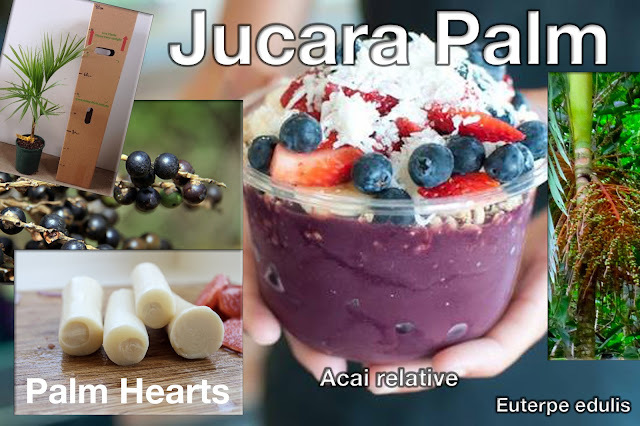 The Acai palm is quite tropical so often dismissed as a plant to grow by many Australians but the Jucara Palm is a close relative that can be grown into the subtropics and the fruit is quite similar and can be used to make the pulp for these lovely smoothie bowls or juiced. Jucara is also preferred for harvesting a high quality "Palm Heart" which is used as an ingredient in steamed vegetables.